You may have noticed recently that the Facebook app makes sounds. Like a post? Chirp. Refresh the news feed? Swoosh. It’s like your iPhone got suddenly chatty and wants you to know that you’re tapping on the screen with every blip and bloop. Surely you’d like to turn these things off. You could just mute your whole iPhone with the sound toggle button, but if you want to have other audio come through, like video, music, or (gasp) phone calls, you can dip into your Facebook app settings and soon experience the bliss of a blip-free Facebook browsing experience. 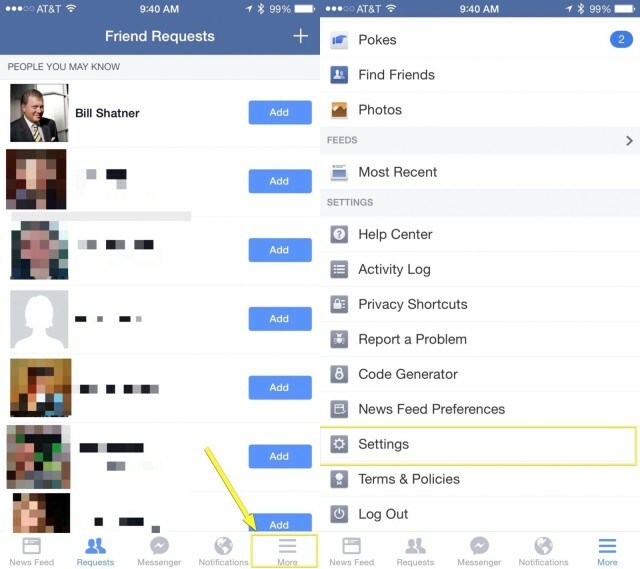 First, launch the Facebook app with a tap. Look to the bottom of the screen and tap on the More menu button to the far right – it looks like three horizontal lines stacked on top of each other. Next, swipe way down to the bottom of the resulting screen to find the Settings section. Tap there and then find the Sounds button. Tap it, and you’ll then see the In-App Sound toggle. 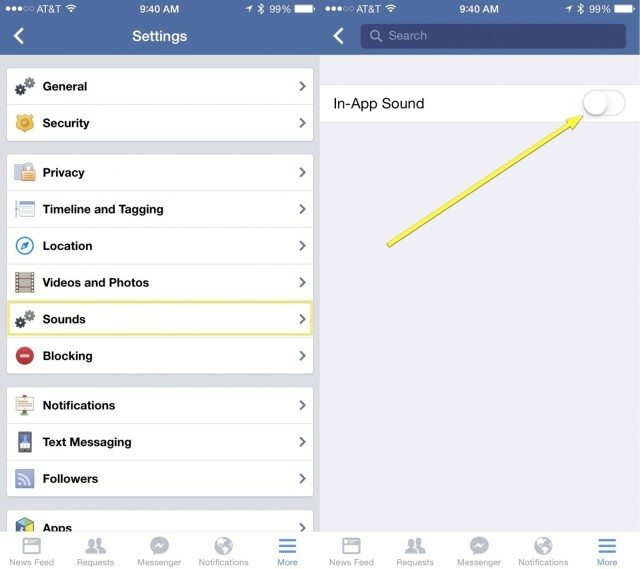 Tap it to toggle the in-app sounds to OFF. Now you’ll quit being plagued by the annoying little electronic sounds every time you try to like your buddy’s latest cat picture.